Land Cruiser is one of the profitable models of Toyota and you will be surprised to read that it contributes about 40% in the annual sales volume. 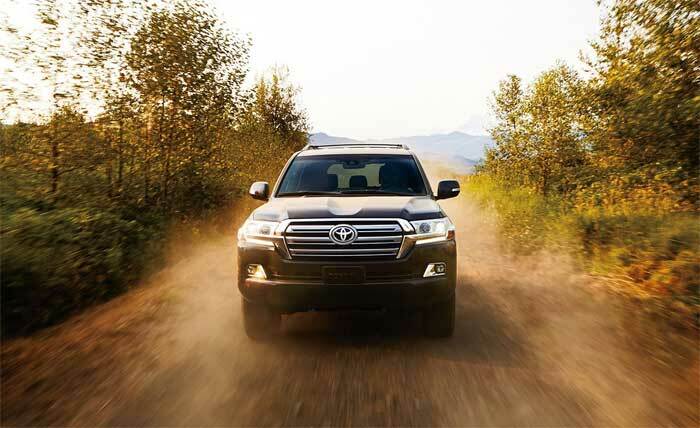 Knowing its importance, Toyota once again introduced a luxurious model with the launch of 2016 Land Cruiser. It’s a full time luxury SUV and Toyota has decorated it with restyled exterior and high tech interior features. 2016 Toyota Land Cruiser will be the ultimate choice for passionate drivers who love to drive a powerful, big lavish vehicle. I am sure you will love it too after reading the details about this wonderful SUV. 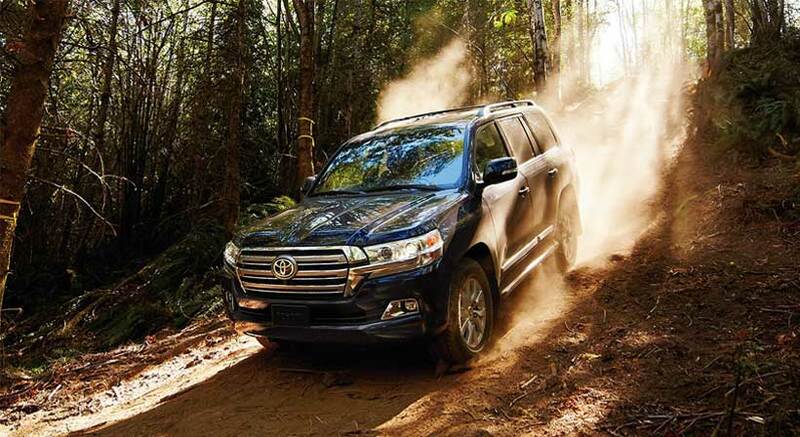 The 2016 Toyota Land Cruiser is powered by 5.7L DOHC V8 engine; its VVT-i Technology enables it to produce torque of 401 lb-ft and 381 Horsepower. Toyota has made some remarkable changes in its Powertrain and one most prominent change you will observe is its transmission; 6-speed transmission has been replaced by 8-speed automatic transmission. Don’t worry, you are also free to choose the manual transmission to get enhanced control on rough and tough roads. 18-inch alloy wheels with new accentuate. All these features contribute towards changing the design of this lavish Land Cruiser. What are the features that completes the interior? 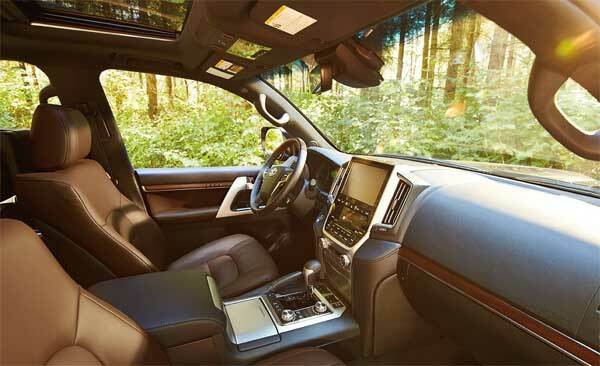 Safety Luxury and Technology-Yes, these things fully compose the interior of any vehicle. When we talk about SUVs these features are “must-have”. 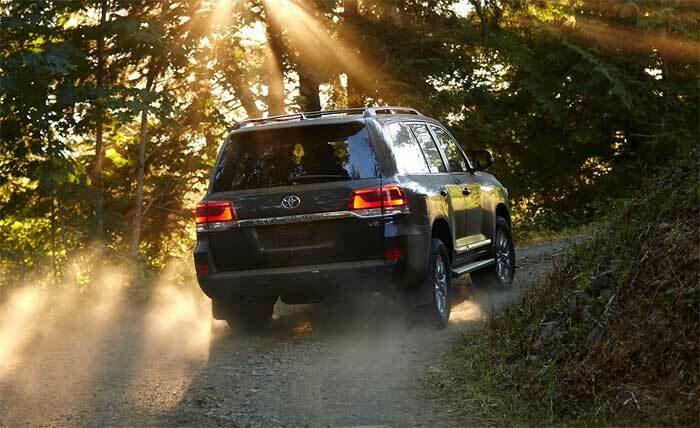 Let’s discuss these features in 2016 Toyota Land Cruiser. Toyota Safety Connect Sytem: This system will help you the most on-the-go; you will get collision notification automatically. Moreover, this system will also guide you in case you lost your vehicle and its improved Roadside assistance will enable you to get assistance with the help of GPS. Active Headrests for Driver and Front Passenger (protect in case of collision from the back). Toyota has fully equipped 2016 Land Cruiser with best possible luxurious features that will provide ultimate comfort to driver and passengers. Rear/Side mirrors with auto dimming feature. Toyota Safety Sense-P System: Toyota Safety Sense-P System is a high tech safety system that will protect the driver and pedestrian in case of collision. Lane Departure Alert: This system will alert the driver in case of a lane change. To facilitate the towing process, Trailer Sway Control is built upon the Vehicle Stability Control technology.